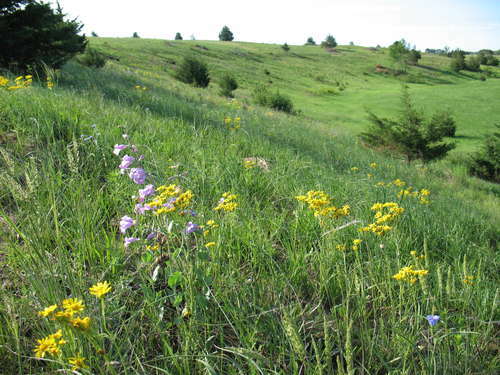 While the Hastings Sand Coulee Scientific and Natural Area (SNA) retains many wonderful native plant species, it is also populated by various undesirable plant species. 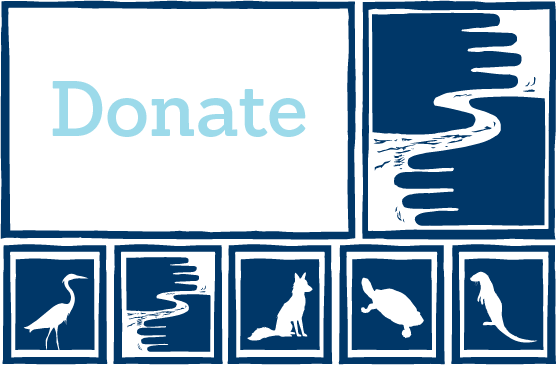 The 2008 season was devoted to thwarting those species and supporting the growth of natives. The photo tour below tells the story. FMR is deeply grateful to the Scientific and Natural Areas (SNA) staff at the Department of Natural Resources for their dedicated partnership in accomplishing these activities and to the DNR grant programs that made this work possible  the Remediation Fund Program and the Woody Biomass Harvest for Habitat Restoration Program. 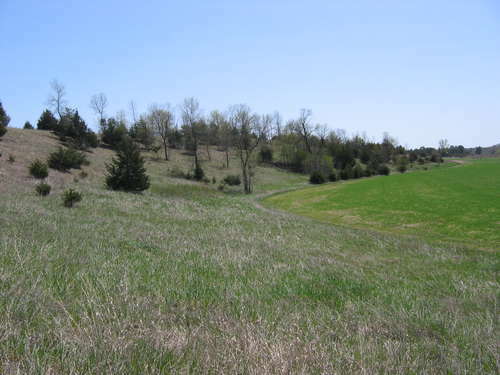 Deciduous native and non-native trees as well as overly abundant red cedar were encroaching on the prairie. 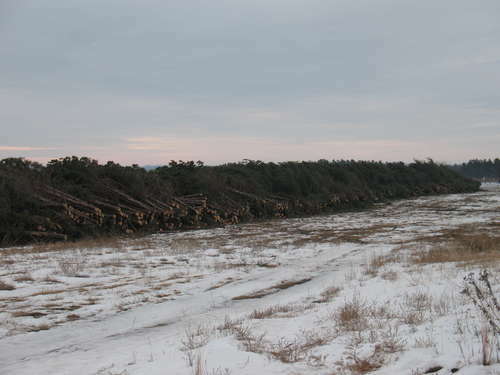 Most of the trees were removed, but scattered cedars were left for prairie birds such as loggerhead shrike. 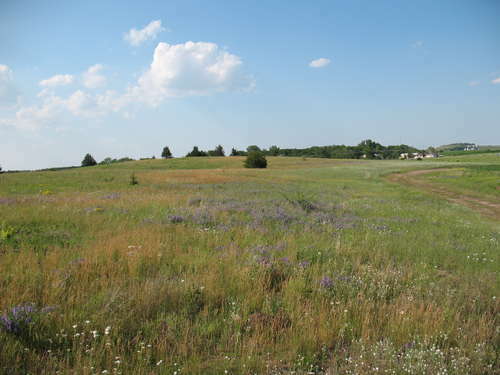 This photo was taken after a spring burn was completed on the northern third of the prairie. 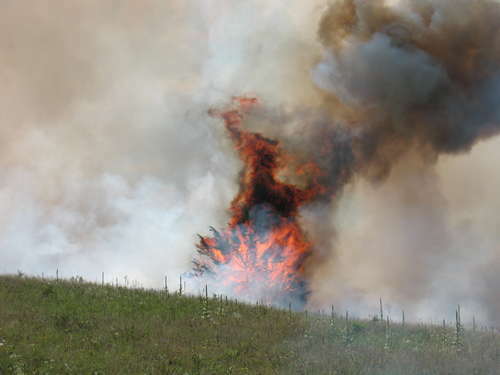 Fire stimulates the native plants, reduces some non-natives, and promotes native seed production, which enables re-seeding in disturbed areas with harvested seeds. 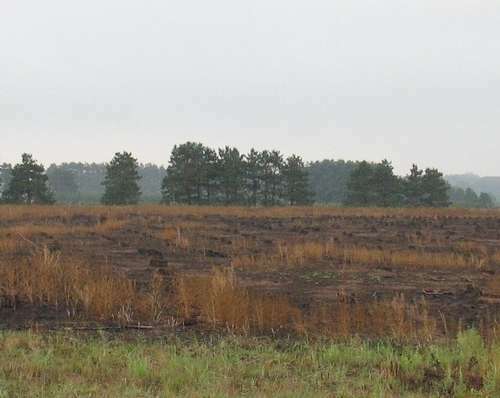 A four-acre stand of 30-foot planted red pine trees was slated for removal to restore the prairie. 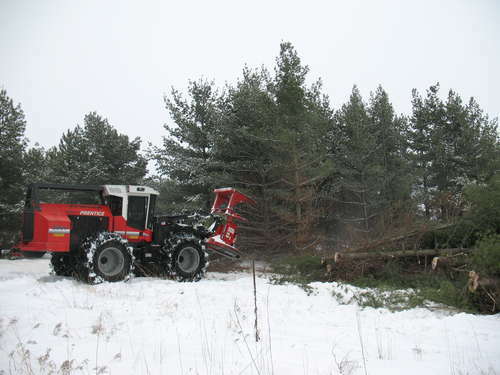 The pine trees, numbering about 4,000, were all cut in one day  a very cold March 5th. 4,000 pine trees, all consolidated into one long pile. In May 2008, the pine trees were all chipped. The wood chips totalled 27 semi tractor-trailer loads, which were delivered to District Energy in St. Paul. The site looks very different after the pine trees are gone. 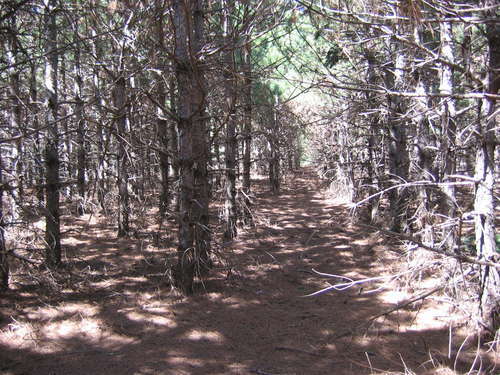 By August the pine stand was carpeted with Russian Thistle -- an annual non-native weed. In addition, the thick layer of needle duff needed to be removed before we could add prairie seed to the site. An intense burn on a hot dry August day solved our problems -- the pine needles and thistle were completely removed, along with a few extra red cedar trees. 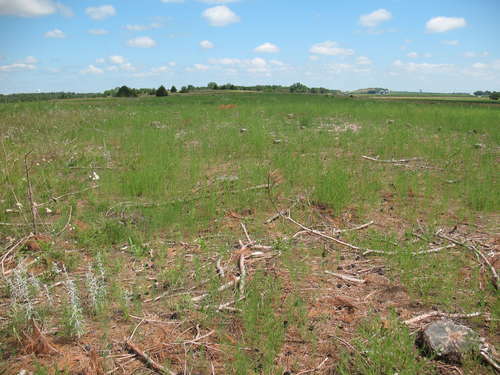 Thousands of tall stumps make a site difficult to manage and restore, so they will have to be removed. 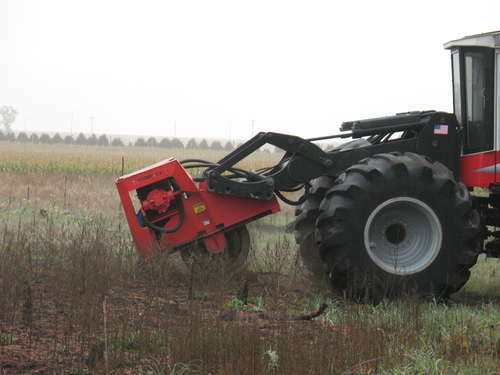 A stump-grinder removed all the stumps in two days. 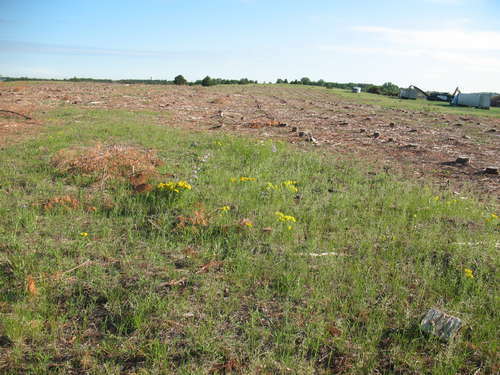 After disking to smooth it out, and possible weed control in spring 2009, the site will be ready for seeding with native prairie seed. Cow vetch was abundant in some areas. An annual species, it grows quickly and forms a dense canopy over native plants so they cannot survive. 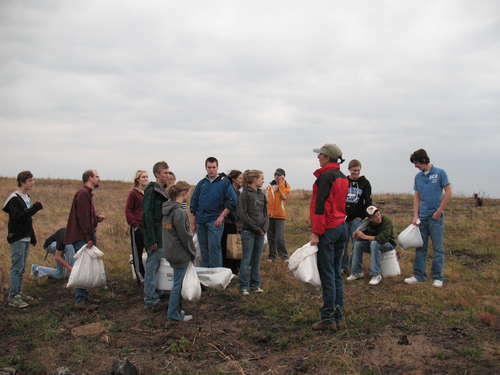 Volunteers helped to pull it in June, 2008. 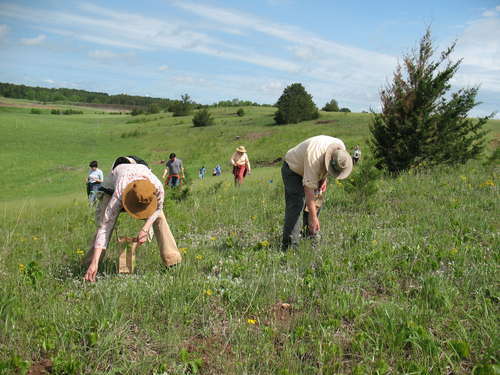 Volunteers helped collect prairie seed during the season. In addition to the usual fall crop of seeds, we were able to harvest many of the spring wildflowers, such as blue-eyed grass and birds foot violet. 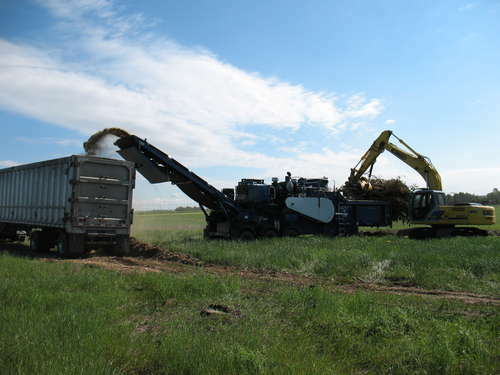 The collected seed will be used to re-seed disturbed areas. 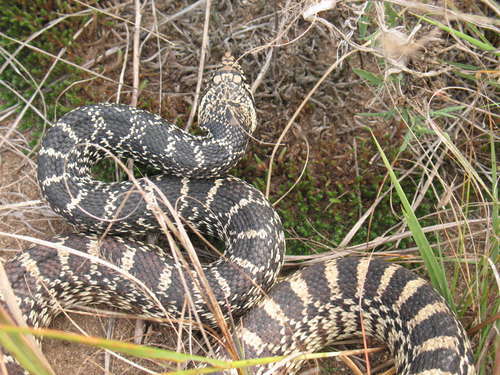 Volunteers were treated to the sight of a large bull snake. It was less excited to see us! The season ended in November, when Hastings High School biology students helped to hand-seed the many small areas left bare by removal of cedar or other trees.